Probiotics, which means, “for life,” have been used for centuries as natural components in health-promoting foods. Bulgarian medical doctor Dr. Stamen Grigorov discovered a special Lactobacilli and called them Lactobacillus Bulgaricus – the only bacteria that had never damaged the human organism anyhow. Probiotics are live microorganisms (in most cases, bacteria) that are similar to the beneficial microorganisms found in the human gut. They are also called “friendly bacteria”. 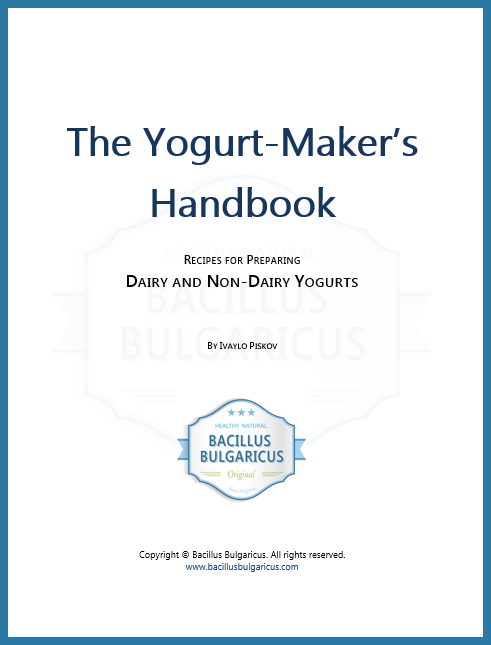 Probiotics are available to consumers manly in the form of dietary supplements and foods (hint: Bulgarian yogurt!). According to the currently adopted definition by FAO/WHO, probiotics are: “Live microorganisms which when administered in adequate amounts confer a health benefit on the host”. Lactic acid bacteria (LAB) and bifidobacteria are the most common types of microbes used as probiotics; Lactobacillus Bulgaricus being one of the most often used bacilli as well. At first, probiotics were thought to beneficially affect the host by improving its intestinal microbial balance, thus inhibiting pathogens and toxin producing bacteria. Today specific health effects are being investigated and documented including alleviation of chronic intestinal inflammatory diseases, prevention and treatment of pathogen-induced diarrhea, urogenital infections, and atopic diseases, and many others. The term “probiotics” was first introduced in 1953 by Kollath. Contrasting antibiotics, probiotics were defined as microbially derived factors that stimulate the growth of other microorganisms. In 1989 Roy Fuller suggested a definition of probiotics which has been widely used: “A live microbial feed supplement which beneficially affects the host animal by improving its intestinal microbial balance”. Fuller’s definition emphasizes the requirement of viability for probiotics and introduces the aspect of a beneficial effect on the host. Did you know that there are 20 times more bacteria than cells in your body? In fact, at any one time, you have more bacteria in your body than the total number of people who have ever lived on the planet. So the next time you step on the bathroom scale, you need to remember that 1 pound of that weight is not you at all, but the billions of bugs that live in your gut. This may sound alarming, but many of these organisms are crucial to good health. probiotics good bugA probiotic is an organism which contributes to the health and balance of the intestinal tract. A probiotic is also referred to as the “friendly”, “beneficial”, or “good” bacteria which when ingested acts to maintain a healthy intestinal tract and help fight illness and disease. A healthy lower intestine should contain at least 85% friendly bacteria to prevent the over colonization of disease causing micro-organisms like E. coli and salmonella. Our colon can maintain its health with 15% unfriendly bacteria, if the body contains at least 85% probiotic friendly bacteria. Most people have this percentage reversed. New research is establishing how important the supplementation of probiotics can be for a variety of conditions. Probiotics enhance the immune system by favorably altering the gut micro-ecology and preventing unfriendly organisms from gaining a foothold in the body. They prevent the overgrowth of yeast and fungus and produce substances that can lower cholesterol. Probiotics are widely recommended for the treatment of Candida – a fungal infection – because they establish large, healthy populations of friendly bacteria that compete with the Candida that is trying to take up residence in the intestine. Probiotics are also essential in the treatment and prevention of thrush, vaginal yeast infections, and athlete’s foot. Good health depends fundamentally upon the more than 400 types of friendly, symbiotic bacteria that inhabit the digestive tract. Two of the most damaging substances to the delicate intestinal flora balance are chlorine and sodium fluoride, present in most treated city water, and thus also present in most beverages which one gets at restaurants. The drinking of alcoholic beverages also contributes to the destruction of the intestinal flora. Medical antibiotics, birth control pills and many other allopathic drugs cause damage to the intestinal flora and to the tissue in the intestinal wall. probiotics and the digestive systemPoor eating habits, chlorinated drinking water, stress and disease and the use of antibiotics in food production as well as in medical treatments can wreak havoc in the gastrointestinal tract by destroying good bacteria and allowing undesirable bacteria to multiply. When the ratio of good bacteria to bad is lowered, problems begin to arise such as excessive gas, bloating, constipation, intestinal toxicity and poor absorption of nutrients. While it’s true that non-beneficial bacteria are naturally occurring in the intestinal tract, problems begin when their growth goes unchecked and probiotics play an especially important role in keeping in check the pathogenic bacteria that cause disease. A good probiotic supplement will contain millions and millions of live bacteria to bolster and replenish levels of the health promoting good bugs in your digestive tract. Once there, these probiotic reinforcements join forces with the existing friendly bacteria to help inhibit the growth of more harmful microbes. Why are probiotics supplements necessary? The answer is, that while it is true that certain foods – especially live yogurt, Japanese Miso, Tempeh and some cheeses have a probiotic action in the gut, you can never be sure what strain of bacteria you are eating or exactly how much is contained in these foods. And there is no way of knowing just how many of those replacement bacteria are going to survive and make it all the way through the acidic and bug-killing environment of the stomach to the colon. There are other foods, such as bananas, garlic and onions, which can also help repopulate levels of the good bacteria in the intestine. But we do not yet know how many you need to eat for the best results and, you can only eat so much garlic in a day! The single most important thing you need to remember, is that even if all probiotics products contain what they promise on the label (and it appears that, according to clinical tests, many do not), only those probiotics which have a special coating to protect them as they pass through the stomach and small intestine will really hit the spot. This is because the stomach is a sterile and acidic environment and has been designed to kill off bugs – the good ones along with the bad. And if the good bugs cannot get to the large colon – that part of the intestine where they are most needed – then you will not get the full benefit. One way around this problem is to make tablets that are “enteric-coated.” This means the tablets are coated with a special protective layer to ensure the microbes will survive en route through the stomach and will get to the lower part of the intestine. This is where levels of existing bacteria, good and bad, are at their highest. So, if you plan to take a probiotic, buy smart and buy one that has been “enteric” coated. This entry was posted in Lactobacillus Bulgaricus and tagged Bacillus Bulgaricus, Lactobacillus Bulgaricus, probiotic supplement, probiotics.